As a tour guide at Banting House, I am often asked about the visitors who come here. Have any celebrities visited? How many people visit? Where are they from? In the opening of the tour, one of the first things we talk about is the prolific visitors who have come to Banting House since its opening in 1984. 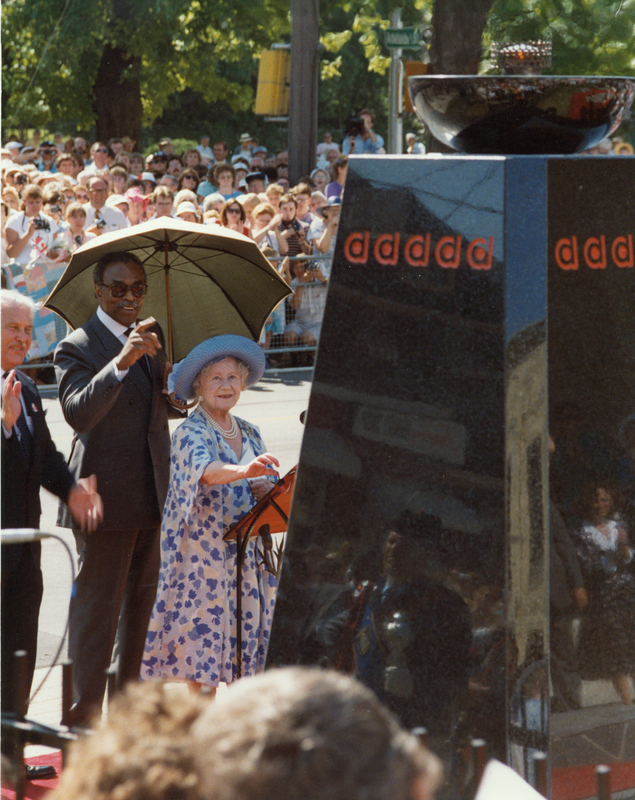 In 1989, Her Majesty Queen Elizabeth The Queen Mother visited Banting House on her tour of Canada. She opened Sir Frederick G. Banting Square just outside the house, unveiled the statue of Banting outside, and kindled the Flame of Hope, which will burn until a cure for diabetes is found. Two Governor Generals have visited the house as well. His Excellency The Right Honourable Ramon John Hnatyshyn visited in 1991 to celebrate the hundredth anniversary of Banting’s birth, and the creation of a time capsule by the Youth Diabetes Federation Congress. In 1999, His Excellency The Right Honourable Roméo LeBlanc and Mrs. Diana Fowler LeBlanc unveiled the Banting House national historic plaque. From these occasions, there is a viceregal flag on display at Banting House – to our knowledge, the only one on display outside of Rideau Hall. The site also receives thousands of visitors living with diabetes, and their friends and supporters. In 1992, the house was visited by Ken McColm on his walk across Canada raising awareness for diabetes. Banting House is an important place for people with diabetes, who want to see where their life-saving treatment was begun. We also see many researchers, both in diabetes and medicine in general, who come to pay homage to one of the greatest Canadian doctors of all time. As to where these people are from, the answer is – everywhere! 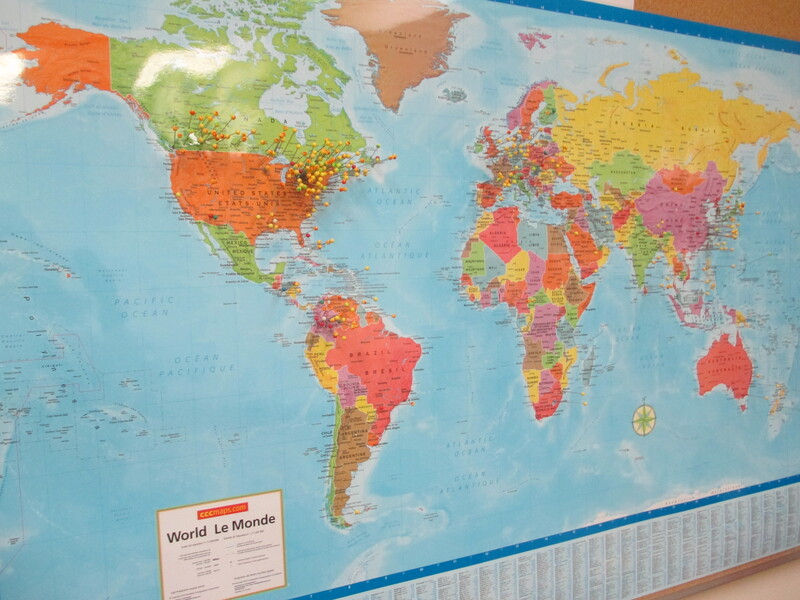 Over the years, people have visited Banting House from places as close as here in London, Ontario, and as far away as Sydney, Australia. There is a map in our reception area which shows all the places we’ve had visitors from just since January – already, it’s getting quite full! Banting House means a lot to a lot of people, and the diversity of vistors we get here speaks to that.